Elaborate installations, architectural tours and exhibitions showcasing innovative design will take over London from 19-27 September for London Design Festival. The event celebrates the full spectrum of design and the creative geniuses behind everything from our built environment and the functional items we rely on, to the decorative details we admire. This year's festival is one of epic proportions — featuring nearly 400 events — a daunting prospect even for the most hardy design buffs. We've picked out our top selection of events for you to peruse. Most are free and the festival caters to a wide range of ages and tastes. This year marks the 50th anniversary of the British road signage system as designed by Calvert and Kinneir. The Design Museum is celebrating with a free installation of new and original signs, plus archive material curated by MADE NORTH. Brands like Coca-Cola, Campbell's soup and Starbucks are instantly recognisable, but are they weapons of corporate power or do they represent something more? Find out in this pop-up exhibition exploring our bond with brands. Migration is the topic of this year's Designers in Residence which sees four emerging talents take over a gallery in the museum to provoke discussion from the public. Escape the confines of the museum and follow this Disegno design walk which takes London's creative studios and you'll also hear from the people who work in them. Each walk ends with a tour of exhibition. 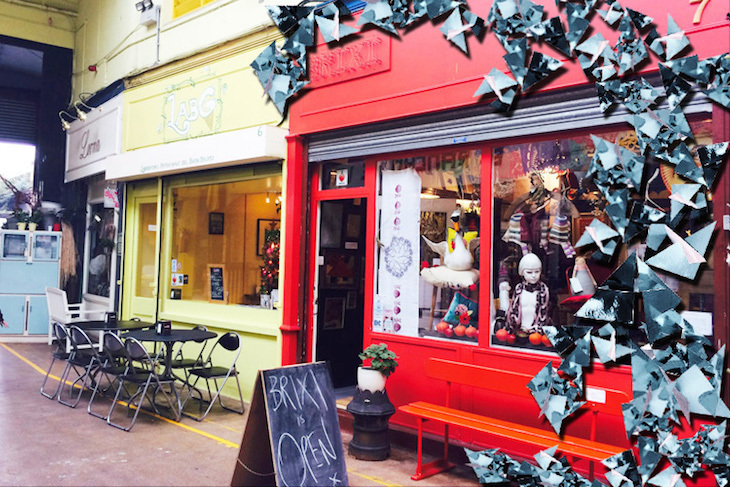 The Brixton Design Trail kicks off on 19 September with nine days' worth of free events, installations, exhibitions and talks in various locations including Brixton Village Market, Pop Brixton, Reliance Arcade, Brixton East 1871 and the Black Cultural Archives. Look down and you'll notice key locations are carpeted with a pattern specially created to represent the spirit of Brixton. Artists, architects and designers will collaborate with local shop owners and transform derelict spaces into design masterpieces; Passage Tells offers a site specific audio storytelling experience of traders inside Reliance Arcade. The Brixton Street Gallery will feature original art work created by local artists on the facades of the former Bon Marche department store. Local design studio 2MZ will transform Black Cultural Archives’ courtyard inspired by the forthcoming Black Georgians exhibition; pick up jewellery, cards, afro-inspired dolls, from stalls around Brixton. Plus look out for an Alice in Wonderland flowerbed outside Lambeth Town Hall, and Artbooty - a car boot sale with a difference created by Brixi— inside the former furniture factory Brixton East 1871.
designjunction is spread over four days at Central Saint Martins and Victoria House. Bring your dosh to spend in the 50 pop-up shops, take part in live workshops, design masterclasses or hop on a tokyobike tour to take in the giant installations. Feeling peckish? Eat in a pop-up wooded tube station designed by TfL. Got an interior design query? Book one of Nest.co.uk’s complimentary daily design clinics, where interior designer duo Two Lovely Gays will solve whatever challenges you throw at them. Look out for a herd of customised elephants at Victoria House B1 — part of designjunction’s charity project and live auction A Child’s Dream. The V&A is the central hub of the festival. Alongside its current exhibitions on Luxury and Shoes, each day of the festival will be dedicated to a different aspect of the design world. Masterclasses, tours, talks, pop-up performances and drop-in workshops will explore themes of graphics, luxury, future, makers, international, industry and digital. The Tower of Babel installation created by artist Barnaby Barford out of bone china takes the shape of the shop fronts that are spread throughout the city. Good luck trying to find your local among the 3,000. Curiosity Cloud sees 250 mouth-blown glass globes dangle from the ceiling, each containing a single hand-fabricated insect — each one printed onto foil, which has been laser cut and then hand embroidered to create the body. Sounds impressive right? The idea is to explore our connection to nature. Mexican architect Frida Escabedo has installed a series of platforms with reflective surfaces to make us rethink our cultural exchanges. The mirrored stages offer us alternative views of the buildings around us as well as each other. The Exhibition Road Project Display is an ambitious project which uses models, sketches and mock ups to create a large-scale installation, in fact it's the largest the V&A has attempted in the last 100 years. The Global Design Forum features masterclasses with experts in the fields of graphics, luxury, future, makers, international, industry and digital. 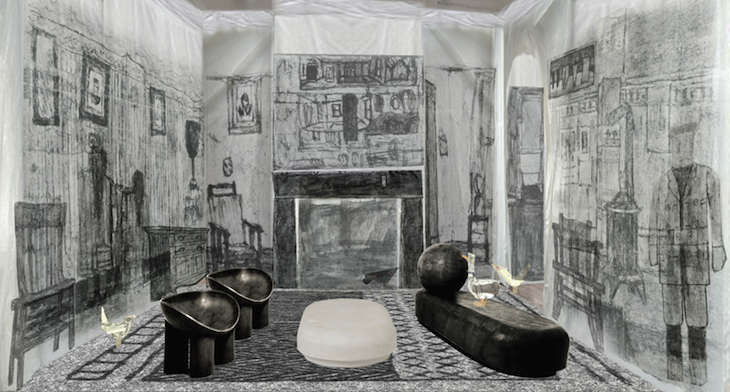 The Drawing Room is an installation which evokes a derelict country house through drawing alone. We wouldn't advise leaning on the walls, which are decorated with charcoal on plastic. My Grandfather's Tree explores the relationship between family bonds and nature, the tree in question no longer resembles a tree but furniture carved from the wood. 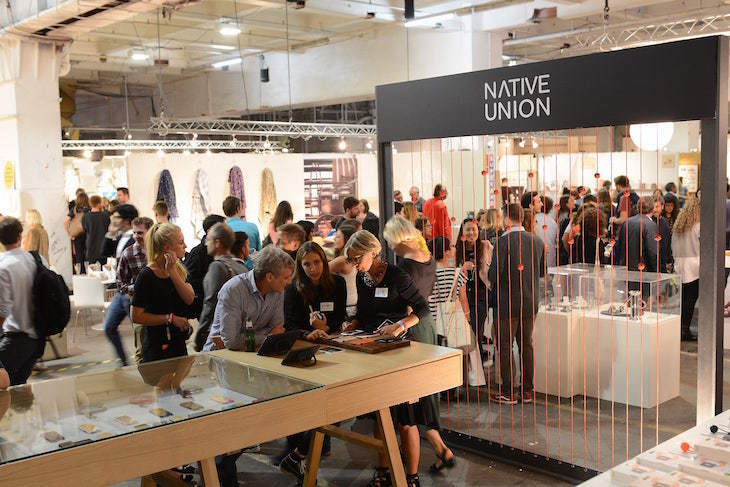 The biggest design event in the UK is in its 20th year and promises to be packed with tons of collaborations between designers as well as an exhibition space filled with five distinct stations dedicated to: Interiors, Design & Build, Kitchens & Bathrooms, Workplace and Emerging Brands all held at Earls Court. Design Districts are concentrated areas of creativity across London which bring together local retailers, galleries designers and organisations. This year there's an additional Design District in the shape of Bankside. Brompton Design District is within walking distance of the V&A, the central festival hub. There are 30 exhibitions to see. Check out the colourful Serpentine Pavilion if you haven't done so yet. Late night opening on 24 September. If you aren't worn out from all of the above check out Covent Garden's Beating Heart installation, the RIBA window displays and Battersea Art Station's exhibition featuring 100s of items inspired by the power station. 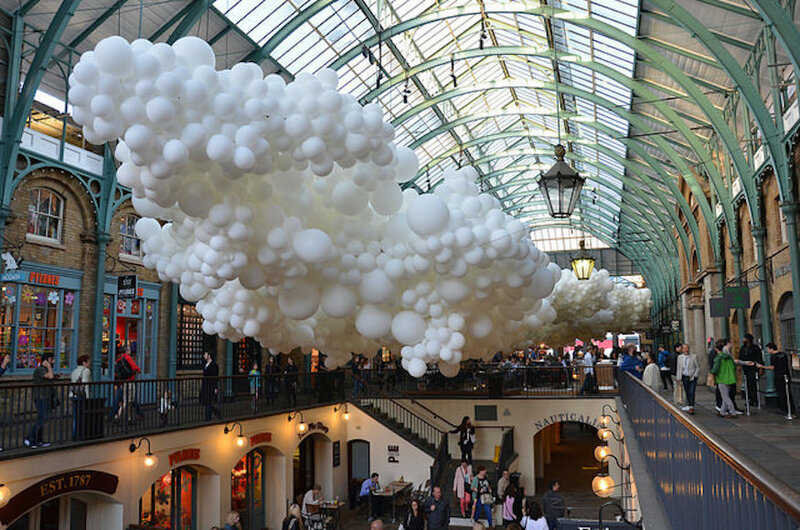 The London Design Festival runs from 19-27 September, taking place in different venues across London. Most events are free, some of them are ticketed: check the programme for full details of events. London Transport Museum is offering London Design enthusiasts a chance to see three exhibitions at a discounted price.